Who is honored by this statue in Cleveland? 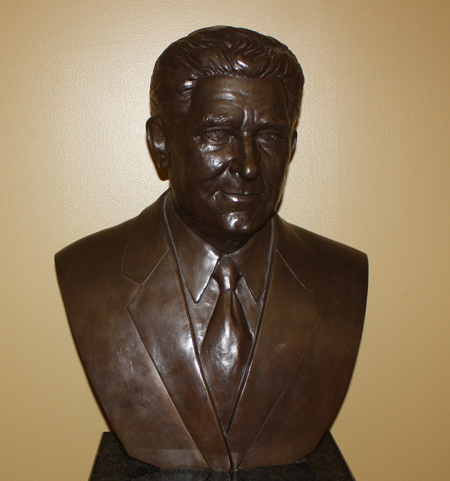 Maybe it will help if you know that the bust is in a Slovenian Church in Cleveland. He was born in Cleveland and the son of Slovenian immigrants Louis and Frances (Milavec). 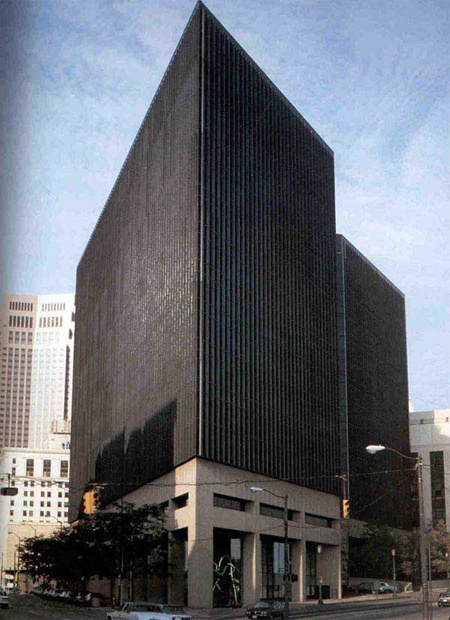 This downtown Cleveland building at 615 West Superior is named for him. 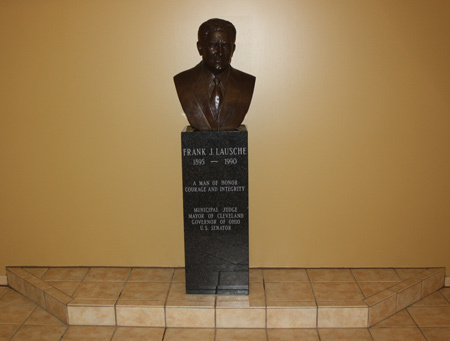 The bust at St Mary of the Assumption Church in Collinwood is to honor Frank J. Lausche. 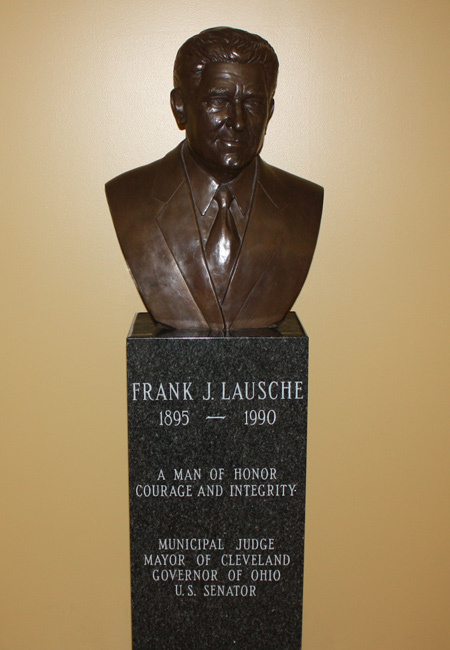 Lausche was appointed and then elected judge in Cleveland Municipal Court 1932-1935 and served in Common Pleas court 1936-41. 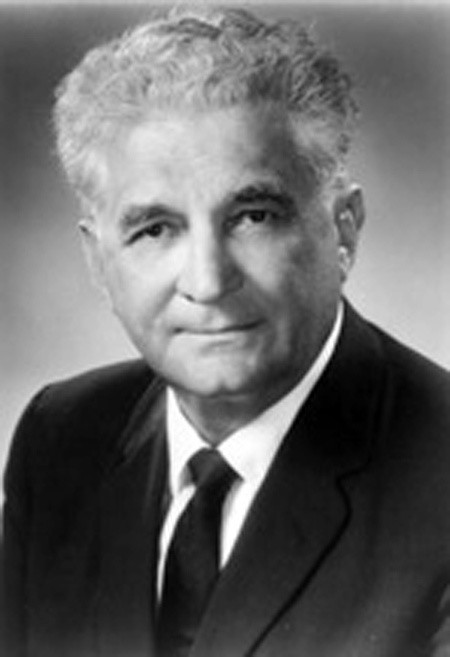 He was elected Mayor of Cleveland in 1941, the first mayor of Eastern European descent. 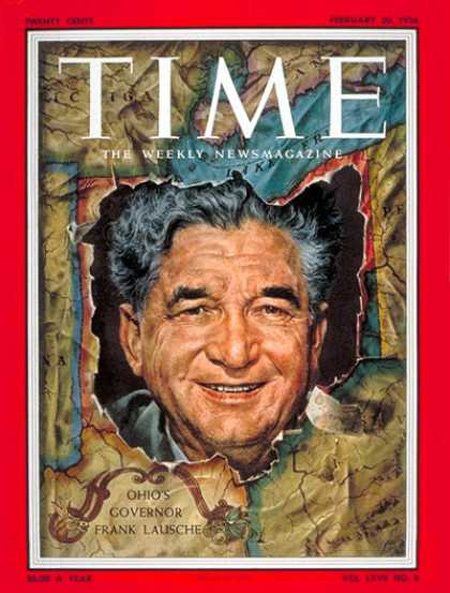 Lausche served 2 terms as Cleveland mayor and then was elected Governor of Ohio from 1945-46 and again from 1948-56. 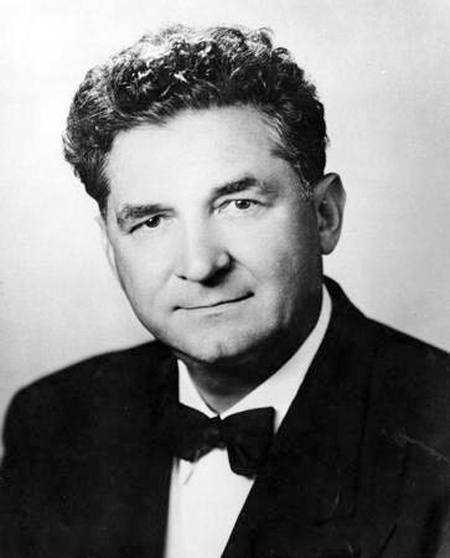 Lausche was elected to the U.S. Senate in 1956. Wikipedia states that "Lausche was a very popular, plain-spoken, big-city politician of the old school. He was credited with building a coalition of ethnic voters in Cleveland known as the "cosmopolitan Democrats." There is some evidence that Republican presidential candidate Dwight D. Eisenhower in 1952, considered asking Lausche to become his running mate."